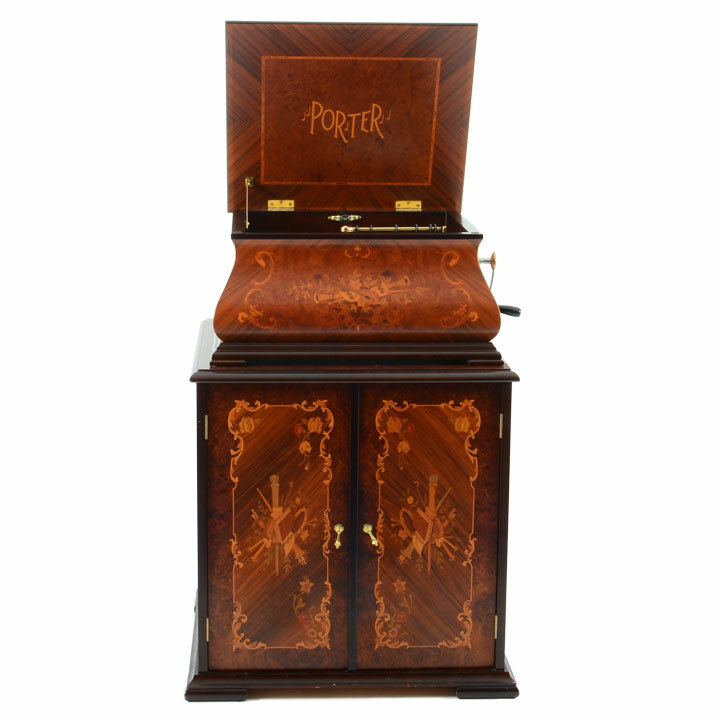 Click here to go to our Video page and see videos of some of our music antiques. The antique music box, whether a Swiss cylinder music box or an American or German disc playing music box, is one of the most magical machines of the ages. 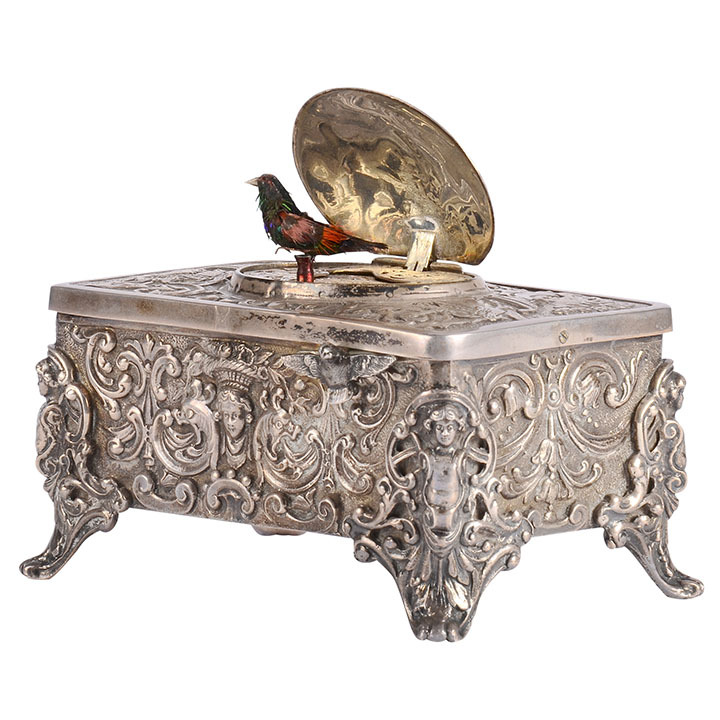 Few antiques can stimulate and delight the senses the way a melodious music box does when it begins to play. Though automatic musical instruments entertained royalty and those fortunate few who could afford them in the 18th and 19th centuries and were one of the most expensive and important status symbols of their day, only a small percentage of today’s population will ever hear one or even know that antique music boxes exist. Swiss cylinder music boxes were only made in any quantity from about 1880 to 1895 and were so expensive to produce that few families could afford them.Thanks to this great period of prosperity coupled with a capable and ambitious music box industry, large-scale cylinder boxes were made with powerful movements playing a variety of sophisticated musical arrangements, typically on one fixed cylinder. If price was no object, the buyer could commission a music box with multiple interchangeable cylinders and even specify the tunes they desired. Disc music boxes are equally scarce having been made between 1885 and 1905. They were made in a variety of qualities and sizes, playing discs of 6” diameter on up to huge machines playing 27” discs. The Germans and Americans dominated this market with only a small percentage of disc boxes produced in Switzerland. The phonograph was developed as a result of Thomas Edison’s work on two other inventions, the telegraph and the telephone. 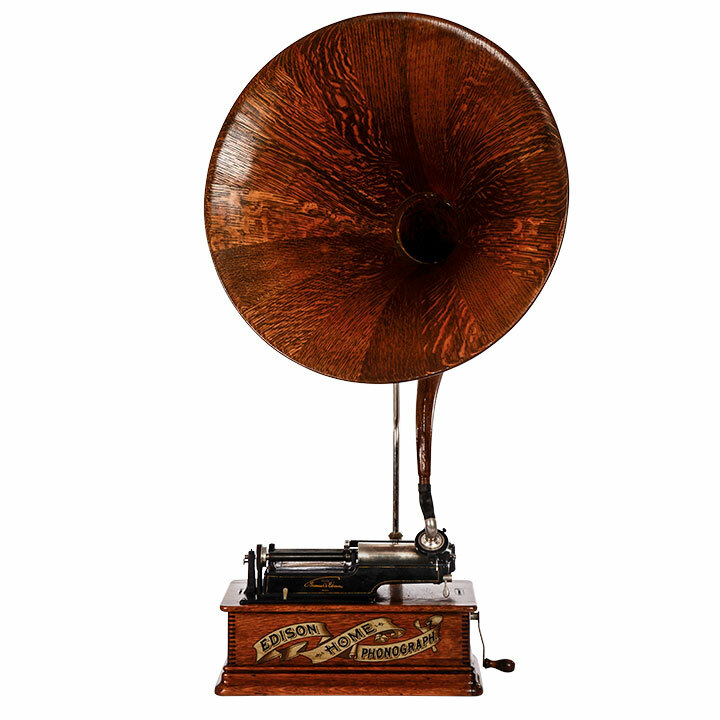 In January 1896, he started the National Phonograph Company after he had bought back the rights to his inventions from businessman Jesse H. Lippincott, who had saw the potential use of the phonograph only in the business field. Edison’s chief competitors abandoned the cylinder market for discs in the early 20th century, and although Edison argued the cylinder had better sound, by 1913 they too were manufacturing disc phonographs. Musical antiques are among scarcest and most esoteric types of antiques in the marketplace, making them an excellent investment. At Solvang Antiques you will find a wide variety of musical antiques to enjoy and collect.